﻿ About us | Build better.Build local. The Swiss Agency for Development and Cooperation (SDC) has been engaged in supporting the transformation of the construction sector around the world for more than 40 years, often in collaboration with Skat Consulting Ltd., an independent resource center and consultancy with a long history of working in the fields of development and humanitarian aid. Having successfully completed the blueprint for Ruliba Clays (Rwanda’s first industrial brick production facility) in the 1980s, Skat returned to the Great Lakes Region in 2012 to implement SDC’s PROECCO Project, aimed at developing a regional approach to promoting off-farm employment and income through the production of climate-responsive construction materials. With a specific goal to minimize environmental degradation while supporting the growth of local building material supply chains, the PROECCO Project provides technical and advisory support to construction industry stakeholders from both the private and public sectors. In addition, the project is tasked with identifying, monitoring and disseminating information on new construction technologies, initiatives, policies, events and projects that embrace resource-efficient and gender-neutral practices while creating environmentally-friendly jobs in the region’s burgeoning construction sector. 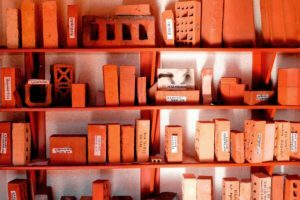 The Construction Industry Info website provides direct access to references, tools, tips and training tailored for government authorities and/or practitioners in the construction sector. At the same time, it serves as a platform to share the activities of Skat Consulting and other project partners actively engaged in developing locally sourced building solutions to provide sustainable solutions for rapidly urbanizing cities, districts and towns across the Great Lakes.